You probably figured out my name is Jerry and that I am a vaper. 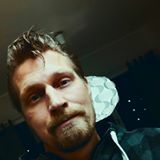 More to know about me is that I live in Sweden with my girlfriend and my 2 kids. This blog will be mainly about my vaping, why I vape, how I vape, why i started vaping and why I will never quit. Why I starting to blog about it? Its simply because I have found my selfe totally consumed with this new cool thing in my life, finding my self saving notes about tanks, subs, ohms DIY:s and recepies everywhere on my PC, in my mail, hundreds of little notepapers on my desktop…. and an urge to share everything new I discover every other day but to few vaping friends to share it with, so here goes, read it or dont.